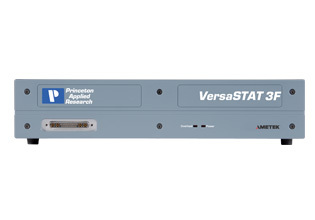 The VersaSTAT 3F shares similar specifications to the VersaSTAT 3 (10µs data acquisition) and the VersaSTAT 4 (4nA lower current range, enhanced filtering options) the VersaSTAT 3F was designed specifically to operate with other potentiostats or earth-grounded cells. The "F" in the VersaSTAT 3F name is for "Floating," a term used to describe the electrical isolation of the systems electrode leads and rear panel connectors from the earth ground. In floating mode, the internal ground of the VersaSTAT 3F (as well as the cell leads and external connections at the rear panel) is allowed to float with respect to earth grounded cells. Examples or earth grounded cells include autoclaves, strain apparatus, storage tanks and pipelines, and additional electrodes connected to a separate potentiostat that is not floating. The VersaSTAT 3F was designed to operate in either a "normal" mode (same mode as V3 and V4 models) or a "floating" mode, selectable in the operating software. In addition to the mode selections, the VersaSTAT 3F also provides additional filters that could be required with some cells in order to enhance the signal to noise. 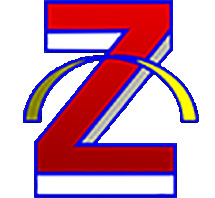 A special "Notch Filter" for those frequencies associated with line power (50/60Hz) are available as needed. Voltammetry providing fundamental electrochemical techniques such as Cyclic Voltammetry, Chrono-techniques. The Advanced Voltammetry techniques also include Pulse Voltammetry methods. Corrosion providing multiple corrosion analysis techniques, including the most common ASTM standards such as Linear Polarization Resistance (LPR, ASTM G59), Tafel (ASTM G5), Cyclic Polarization (ASTM G61), etc. Click here to download the latest version of our VersaStudio software. High performing electrochemical impedance spectroscopy (EIS) data analysis software that easily interfaces with the VersaStudio software platform. Minimal user input without the need for the starting values and simple, single-click fitting procedures. Various options from pre-loaded circuit models to user created and saved models. Output results using a range of plot formats and easily view estimated parameters and historical records of computation process.